December already , The base is due to break for the festive holidays on the 20th. 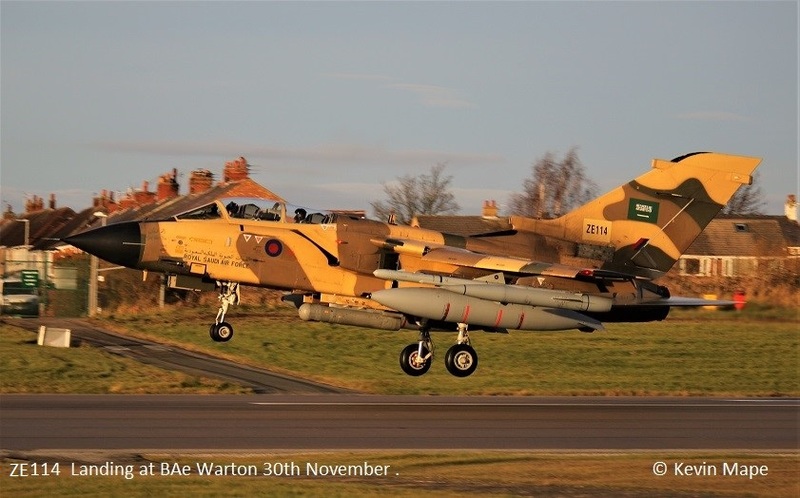 To start the month I spent a day at the fence at BAe Warton and have used a picture of Saudi Tornado IDS ZE114/ CS03 as a header for the Month. ZA682/18-27Sqn/Chinook HC4 c/s “Vortex 588” – To Holbeach Range. ZK318/FG/Unmarked c/s “Lossie 79” – Delivery to Lossiemouth ex TMF. 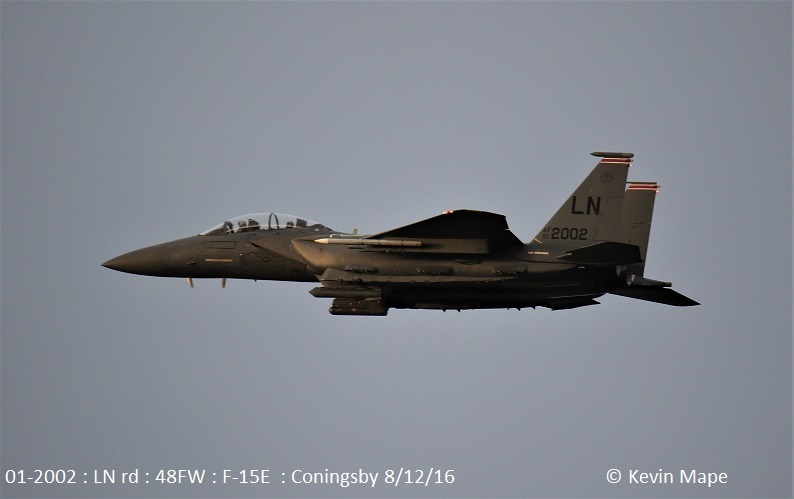 ZK379/EB-B/41(R)TES c/s “Ascot 9655” – Return from USA Deployment. ZK335/EB-G/41(R)TES c/s “Ascot 9714” – Return from USA Deployment. ZA682/18-27Sqn/Chinook HC4 c/s “Vortex 588” – Departed. 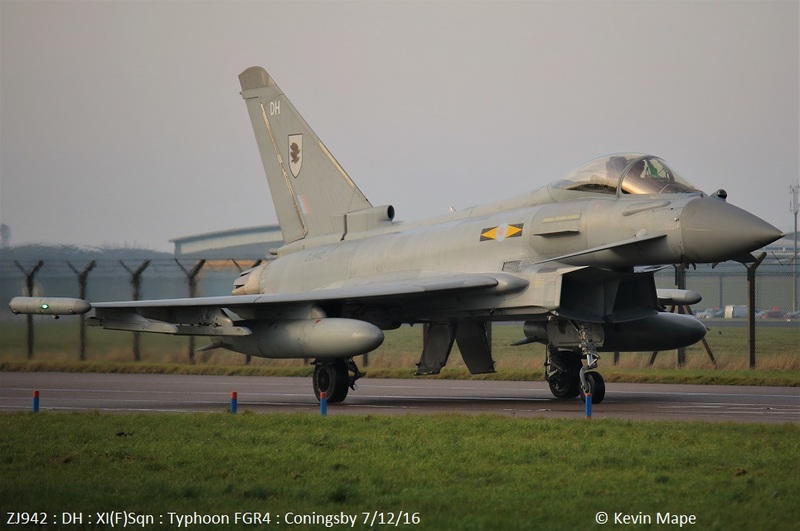 ZK346/ER/Unmarked c/s “Typhoon 76” – PD at Leeming. 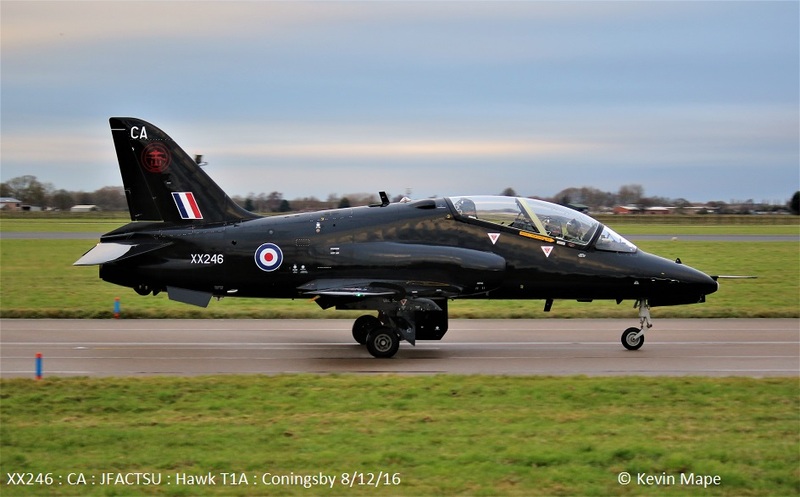 XX246/CA/100)Sqn- JFAC TSU marks/Hawk T1A c/s “Javelin 30” – Departed. 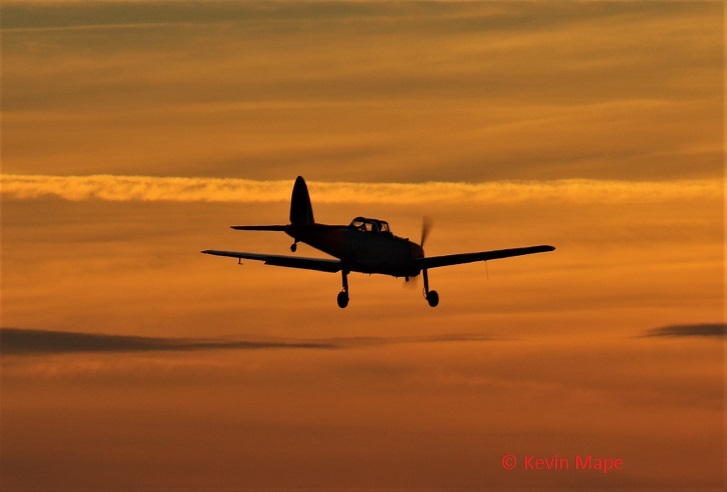 G-BYWJ/WJ/3FTS/Tutor T1 c/s “Kipper 1” – Overshoot. G-BYXO/XO/3FTS/Tutor T1 c/s “Cranwell 88” – Overshoot. 5th Mon Log thanks to Garf – night flying. 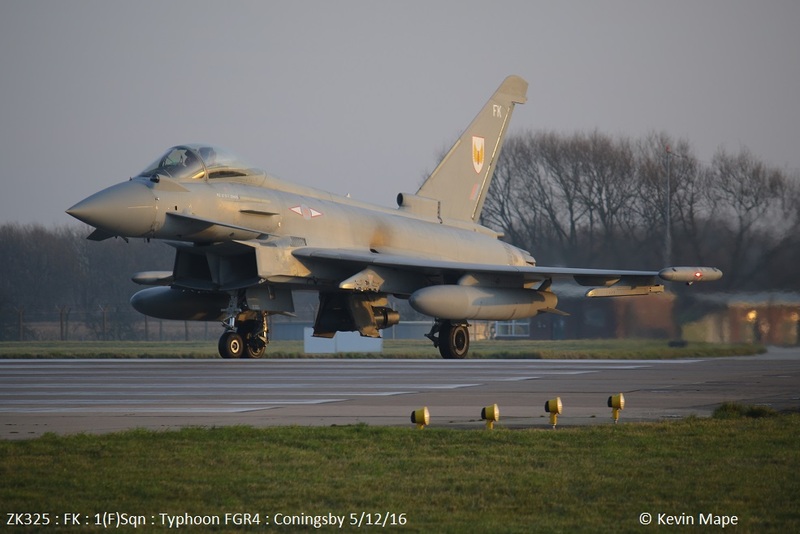 QRA change over – ZJ917/DG. Airfield was closed until 13-30. 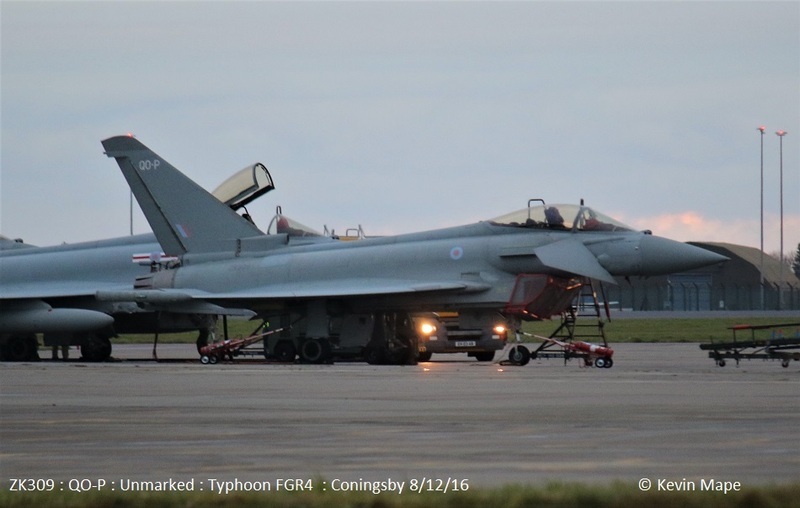 * Due to mist on the Runway the Night flying was stopped and the four Typhoons flying returned at 16-30. ZK328/EB/6Sqn c/s “Lossie 79” – Returned to Lossie due to Fog. XX162 / G9- Inst of Med / Hawk T1 c/s “Gauntlet 20” – Parked on the ASP. 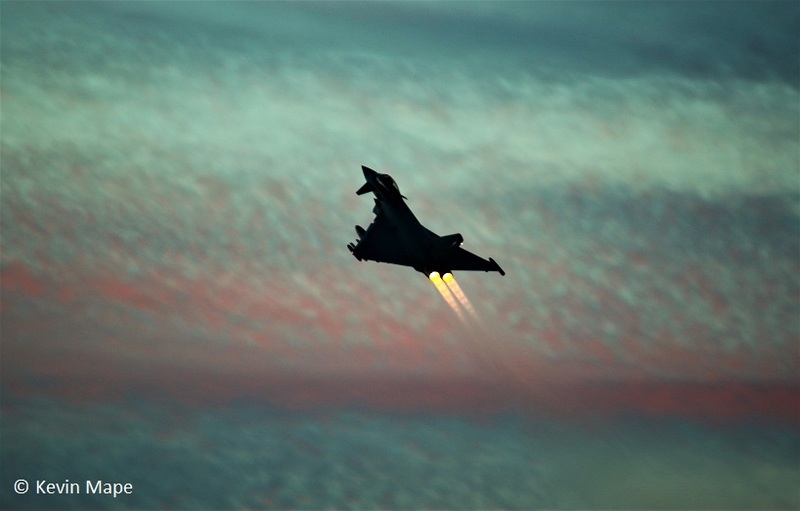 ZJ942/DH/XI(F)Sqn c/s “Typhoon 21” – PD at Marham. 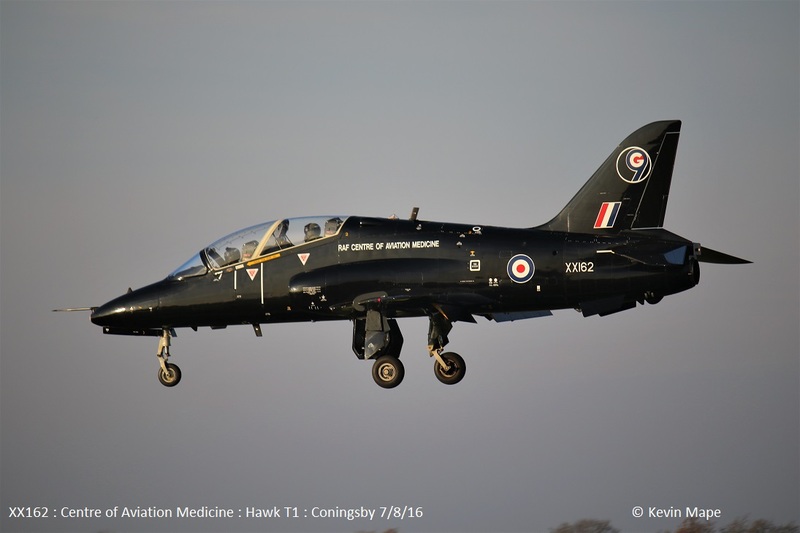 XX162 / G9- Inst of Med / Hawk T1 c/s “Gauntlet 20” – Mission. ZK328/EB/6Sqn c/s “Lossie 97” – Delivery to TMF – Parked on the ASP. G-BYUZ/UZ/3FTS/Tutor T1 c/s “Cranwell 99” – Overshoot. G-BYVH/VH/3FTS/Tutor T1 c/s “Cranwell 99” – Overshoot. 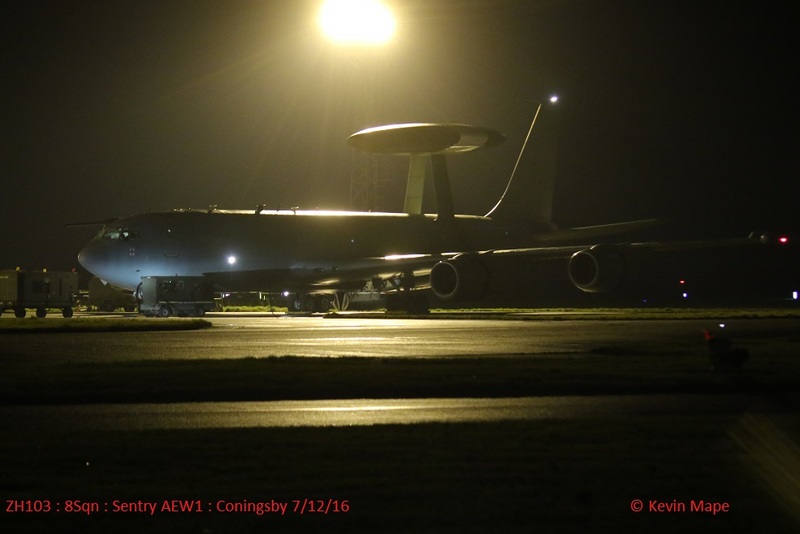 ZJ930/Unmarked c/s “Triplex 13” – Diverted to Marham after mission. XX200/CO/100Sqn c/s “Aggressor 2” – Parked on Sierra. ZJ801/BJ/29(R)Sqn c/s “Cobra 41” – Burst tyre on return – Closing the Runway due to rubber on the Runway. 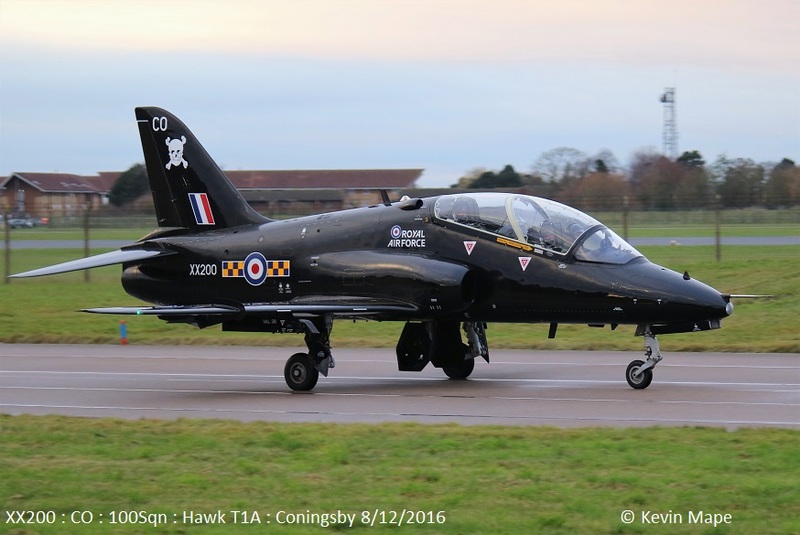 XX200/CO/100Sqn/Hawk T1A c/s “Pirate 20” – Mission then returned N/S – 18-00pm. (TMF) – ZK353/BQ, ZJ921/E – was later towed to the South side..
29(R)Sqn – Hangar – BF,BH,BK,BP,BY. 8th Thur – Log thanks to Garf & Luke Webster. G-FSEU/Nimbus Air/King Air 200 c/s “Broadsword 31” – Parked on Sierra. 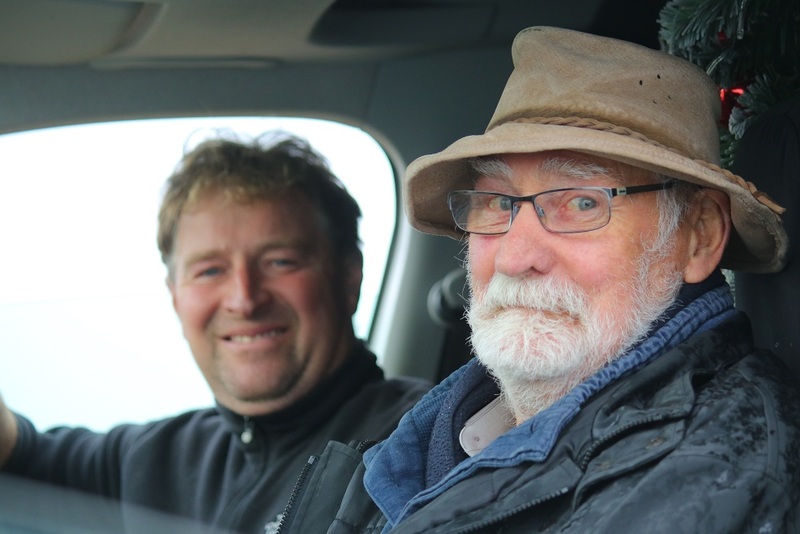 Today down Reedham Lane, Garf & Vern – King of logs both Past & Present. 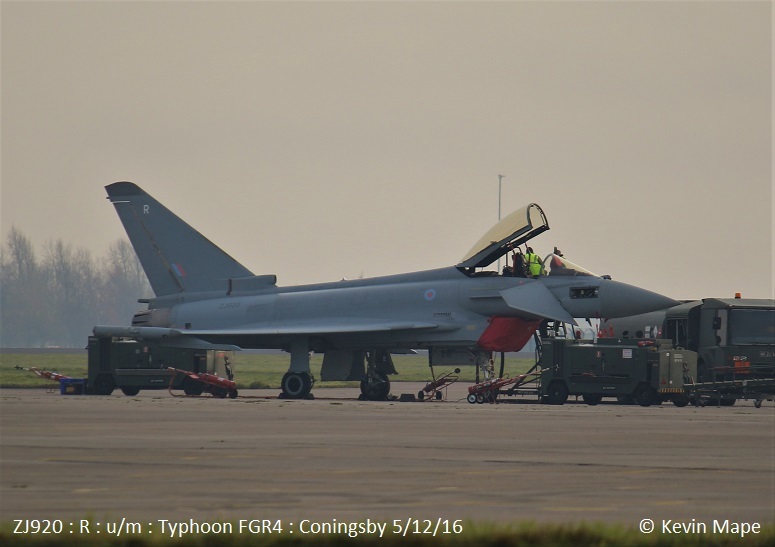 ZJ930/Unmarked c/s “Typhoon 44” – Return after diversion to Marham yesterday. XX246 / CA/JFACTSU badge / Hawk T1A c/s “Aggressor 1” – Departed with :-. 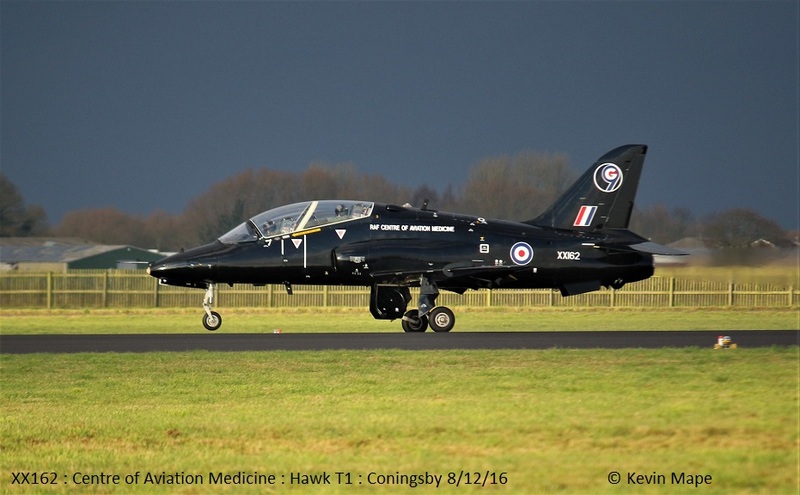 XX162 / G9- Inst of Med / Hawk T1 c/s “Gauntlet 20” – Departed. 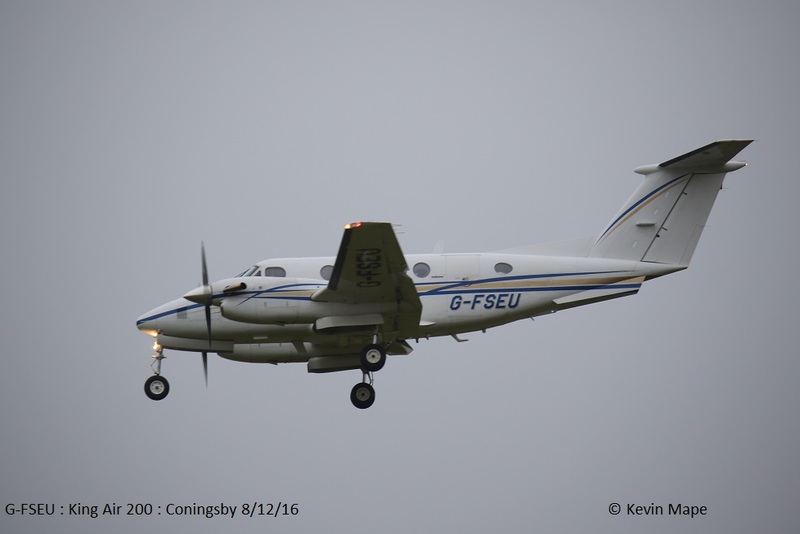 G-FSEU/Nimbus Air/King Air 200 c/s “Broadsword 31” – Departed. 8Sqn – ZH103 – Engine runs. 9th Fri Log thanks to Garf & Rob W.
ZK368/Unmarked c/s “Rebel 59” – Delivery from Warton – Parked on the ASP. ZK455/O/45(R)Sqn/King Air B200 c/s “Cranwell 70” – Overshoot. ZJ929/DL – QRA radio check – 11-40am. Noted on tow to the old paint shop – ZK321/EB-R/41(R)TES. 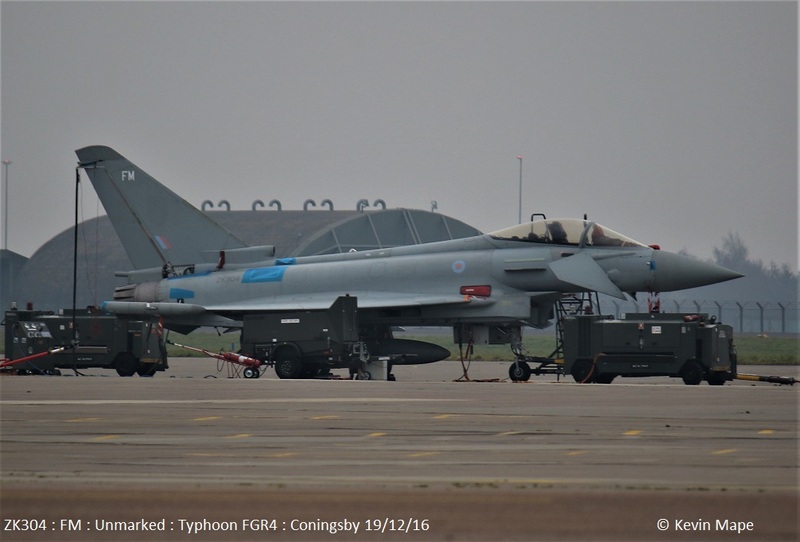 ZJ921/E/Unmarked c/s “Typhoon 27” – PD at Mildenhall. 13th Tue Log thanks to Steve,Val & Garf. 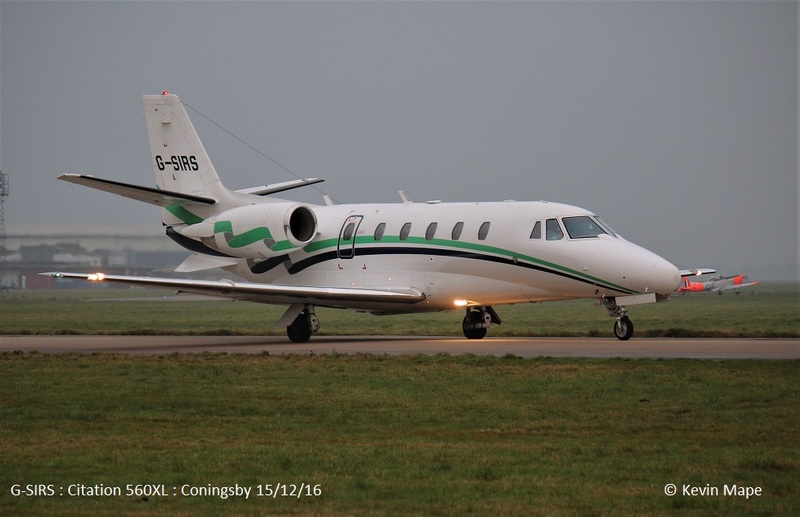 G-MAJD/JD/Eastern/Jetstream 41 c/s “East flt 102” – Unable to land due to Mist – returned to Warton. ZK339/EB-E/41(R)TES c/s “Apollo 11” – 3 – Drop tanks. 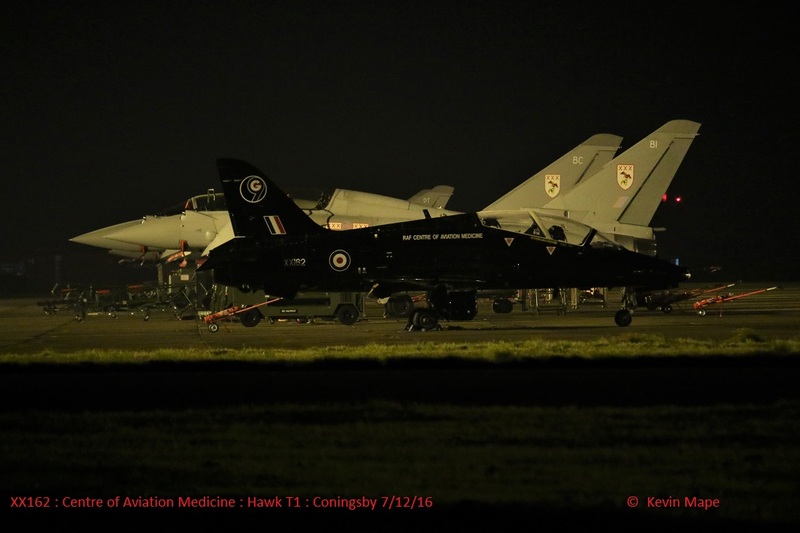 ZJ942/DH/XI(F)Sqn – Towed to HAS 1 for QRA. ZH104/04/8Sqn/Sentry AEW1 c/s “Solex 02” – from Waddington. TMF -ZK373/Unmarked – f/n on the ASP since delivery, ZK353/BQ – first time noted code only. 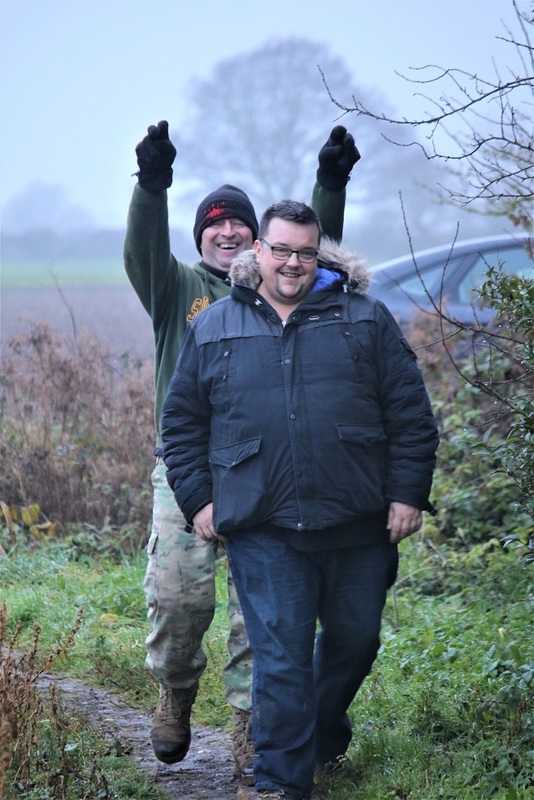 Big thanks to Garf & Mark for keeping us in Logs, Coffee, Hot Chocolate, Bacon baps, Chilli, Curry and all the rest of the food cooked over the past year. 14th Wed Log thanks to Garf. ZJ810/BI/29(R)Sqn c/s “Cobra 22” Diverted to RAF Brize Norton. ZK373/Unmarked c/s “Triplex 31” – First flight since delivery. ZK329/FH/1(F)Sqn c/s “Lossie 45” – Delivery to TMF. G-MAJC/JC/Eastern c/s “East Flt 101” in “102” – out. ZJ929/DL – QRA radio check – 11-50 am. 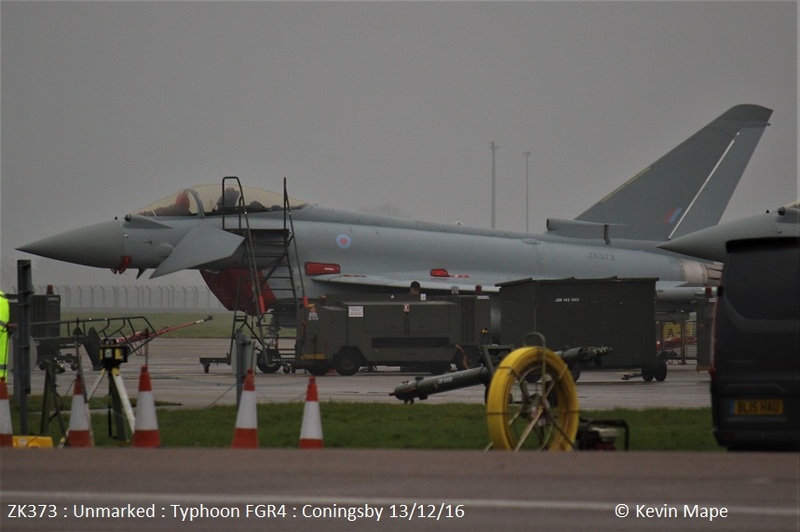 ZJ929/DL/XI(F)Sqn c/s “7 November Sierra 46” – QRA practice. 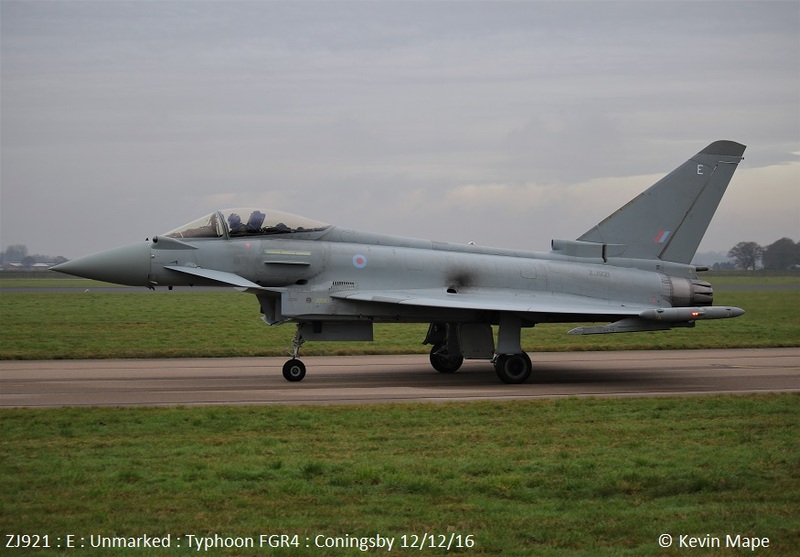 ZJ917/DG/XI(F)Sqn c/s “7 November Sierra 47” – QRA practice. 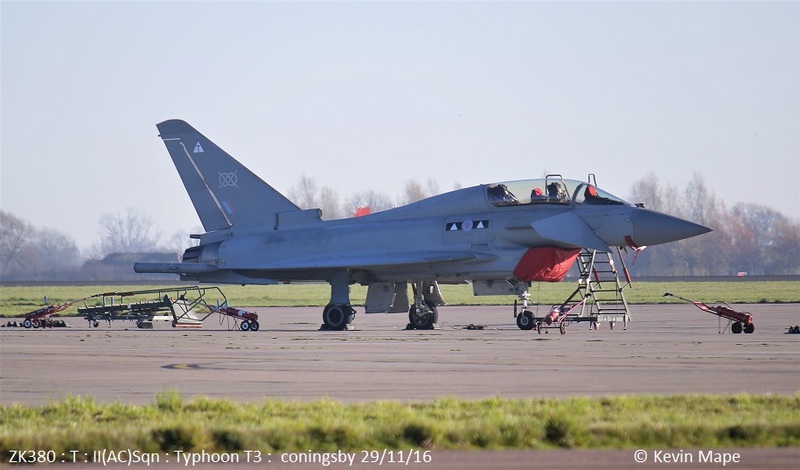 ZJ923/Unmarked c/s “Typhoon 63” – Operated from HAS 1. WK518/C/BBMF/Chipmunk T10 c/s “Chippy 92” – PD at RAF Barkston Heath. ZJ921/E/Unmarked – Towed into Echo from Foxtrot. 15th Thur Log thanks to Susie,Garf & Colin. Noted AM on Echo -11sq. FD, EO, EM, DW, ER. 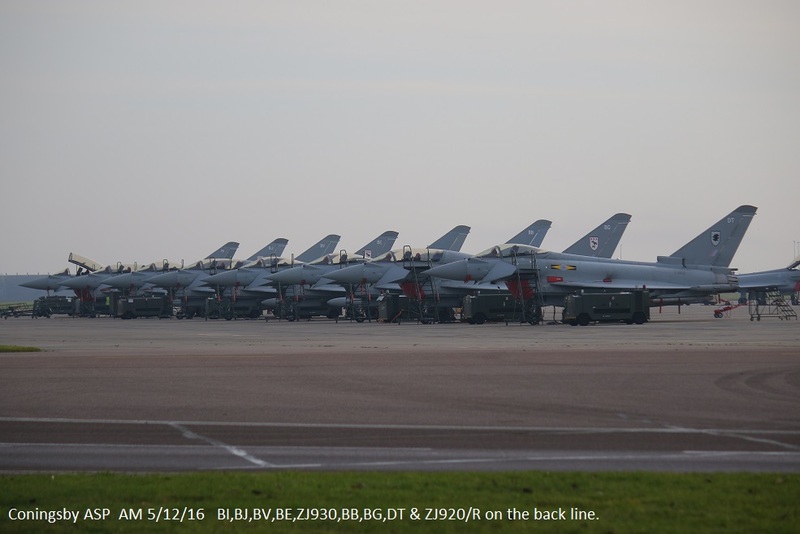 29(R)Sqn – BV, BI, FH, BG,ZK373, EX, ZJ930, DT, BC, BM. ZJ930/unmarked c/s “Cobra 22” – deployed chute on return. Weather recall Due to Fog. G-SIRS/Citation 560XL c/s “Firehawk 760” – Parked on the ASP – Princess Royal on board. G-SIRS/Cessna 560XL c/s “Firehawk 76 Romeo” – To Biggen Hill. 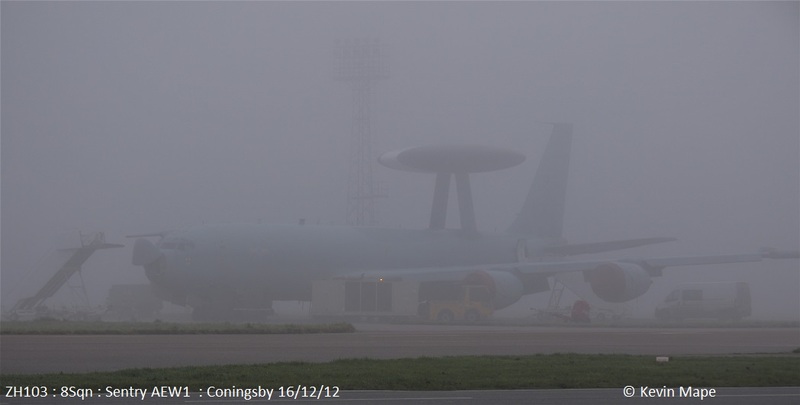 Foggy all day – No movements. 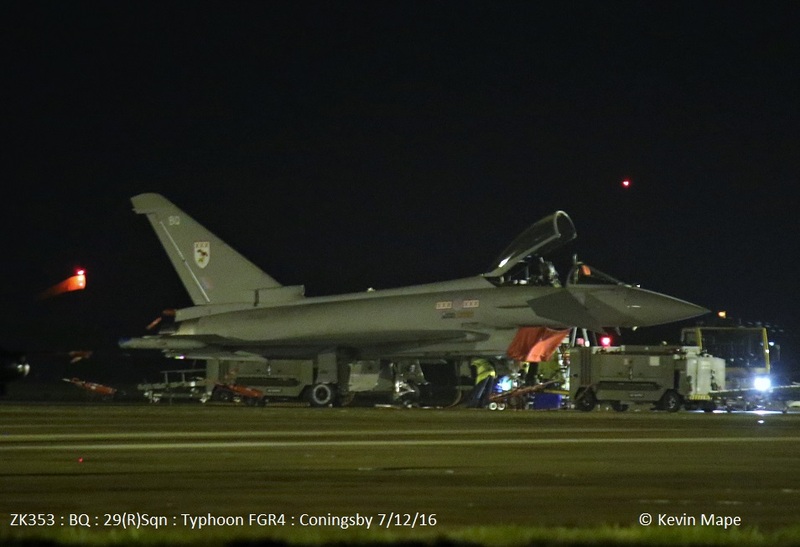 “Typhoon 26” – taxi back. ZA560/EB-Q/41(R)TES/ Tornado GR4 c/s “Ascot 9711” – Parked on the ASP. ZA607/EB-X/41(R)TES/ Tornado GR4 c/s “Ascot 9713. 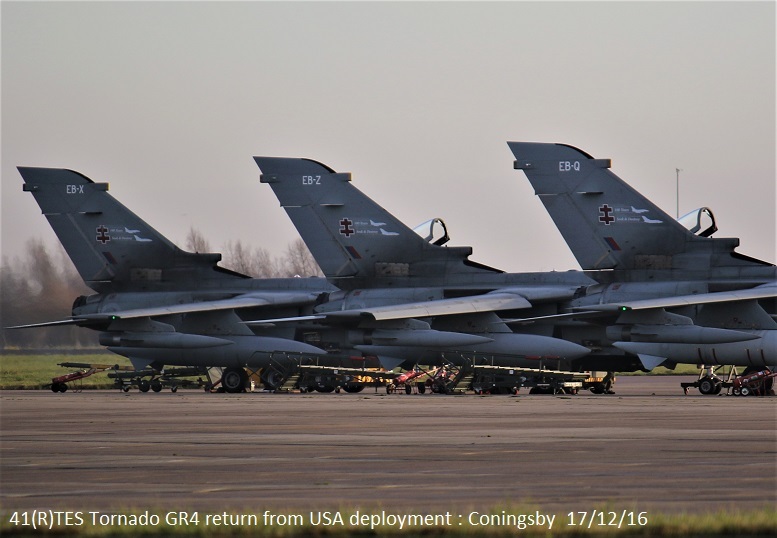 ZK372/BB/Unmarked c/s “Cobra 21” – PD at Lakenheath. “Cobra 22” – Ground abort. 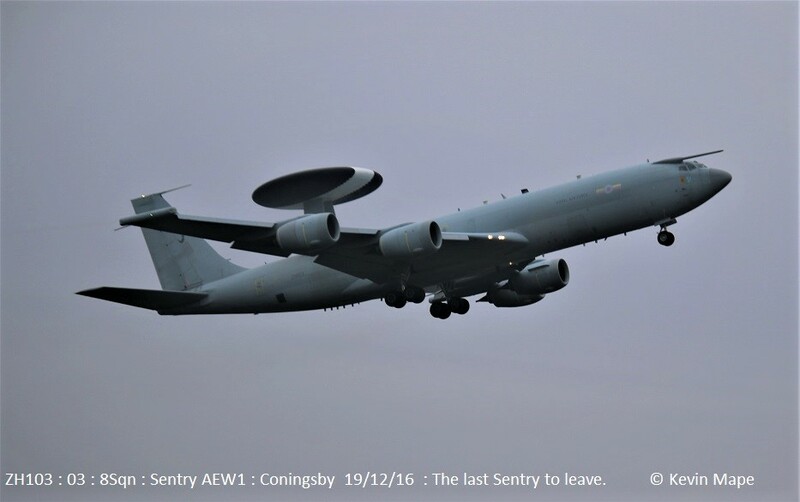 ZH103/03/8Sqn/Sentry AEW1 c/s “Solex 02” – The last Sentry to depart to Waddington. On tow – ZK325/FK – North to South. ZK335/EB-G/41(R)TES – Towed from 41Sqn to HAS 10. 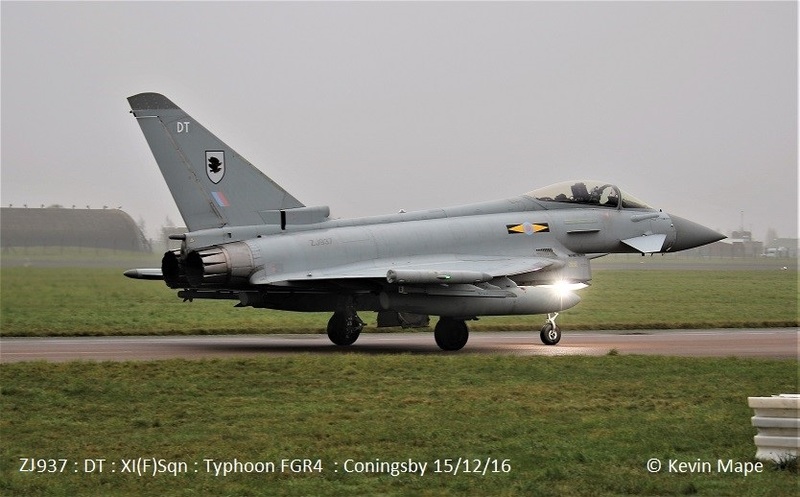 End of normal flying finished at Lunch until 3rd January 2017, The TMF finish on Friday so the odd Typhoon may appear on the ASP up until then. I am unable to name you all but you know that we would not be able to have a movements page without your help. Merry Christmas and a Prosperous New year to you all. Kevin Mape aka Milky 01. ZJ813 : BL: 29(R)Sqn : WFU – Inst Airframe in 29(R)Sqn Hangar..
ZJ920 : R : code only :Arrived 13/9/16 – Noted on the ASP 5/12/16 – Departed TMF 16/12/16. 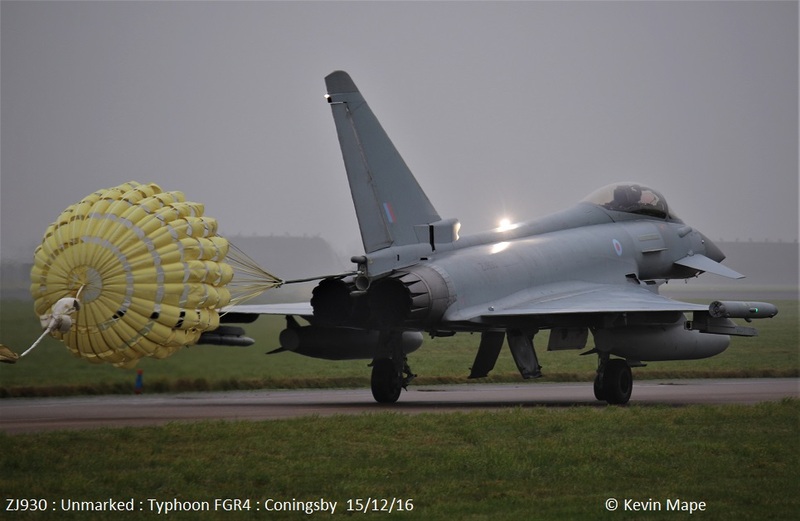 ZJ921 : E : code only : Arrived 23/8/16 – Departed TMF 8/12/16 – Towed to South side..12/12 flying with 3(F)Sqn. ZJ944 : Unmarked : Stored damaged. CAT 3 Awaiting repair. ZK304 : FM : code only: Arrived 18/5/15. Noted on the ASP – Fuel pressure trails – 19/12/16. 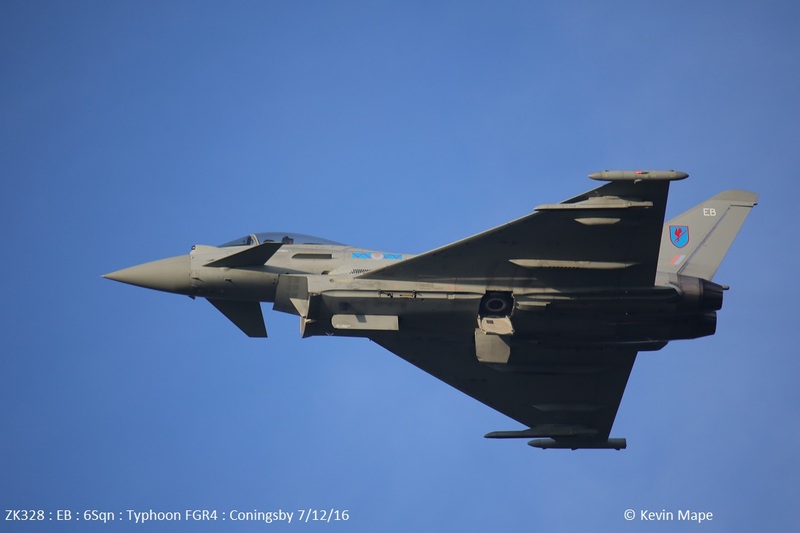 ZK309 : QO-P : code only : (XI(F)Sqn ) – Noted on the ASP 8/12/16. 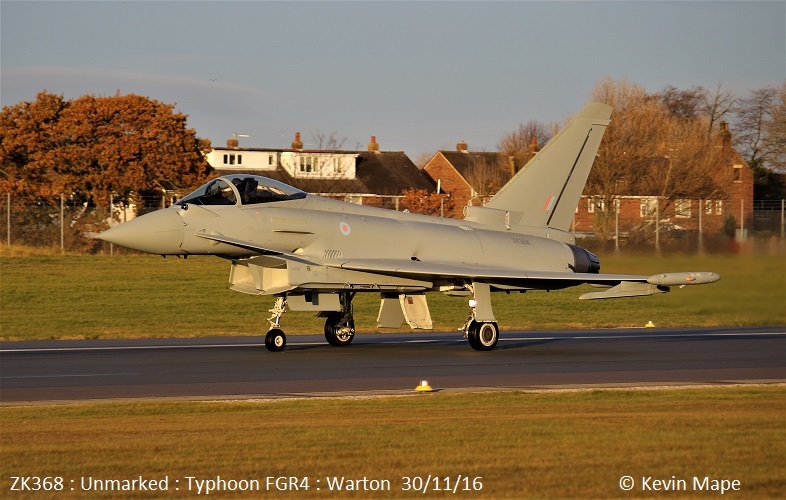 ZK310 : FL : 1(F)Sqn : Arrived 22/9/16. ZK353 : BQ : 29(R)Sqn : Noted on the ASP 7/12/16 : Noted 13/12/16 – code only. Departed TMF 16/12/16. ZK367 ; u/m : Departed TMF 20/12/16 to 41(R)TES.